On Thursday, the time for talking is over - and thank goodness for that. It may all be part of the theatre of the Ashes build-up, but some of the opinions, predictions and speculation I have heard over the last few months have ranged from a bit over the top to crass and laughable, while others have been quite astute in their assessments. Anyone who has followed the general feeling in the press, but knows nothing about the game of cricket, could be excused for thinking that Australia have no chance of winning back the Ashes. Many sources have portrayed Australia as a rabble who might as well not turn up because they have no hope against the new 'Invincibles' of world cricket. Everyone is entitled to express their opinion, but it is my feeling that the two teams look evenly matched on paper and we can expect a closely-fought encounter. Looking closely at the combined batting statistics of both teams, Australia have more Test match experience (388 to 371 caps), more Test runs (29,155 to 26,537), more first-class runs (93,134 to 79,196) and more first-class centuries (266 to 203) than England's top seven. While I will concede that you can make statistics work for you how you like, these numbers are facts and therefore hold a degree of respect and credibility. When play starts, however, they will count for nothing, but they do suggest that Australia should not be easily rolled over as some have predicted, or maybe just hoped? 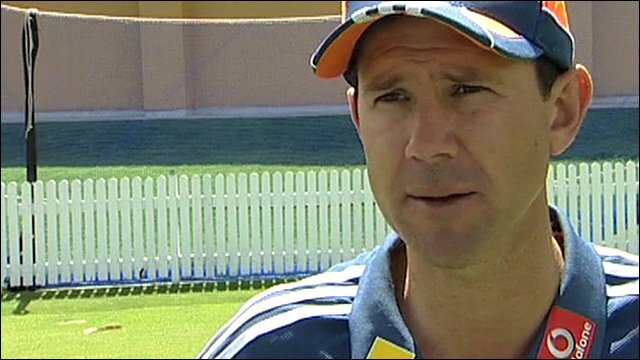 Ricky Ponting is one of the greatest warriors of the modern game who is determined to wrestle back the Ashes on home soil. His performance this series will be vital to Australia's chances of success. There is no doubt England arrived in Australia confident and ready for the fight. In a sense, their preparation looks similar to England's 2003 Rugby World campaign where Clive Woodward left no stone unturned to ensure a momentous and much celebrated victory. On the surface, England's build-up seems perfect and there is no doubt they will be buzzing with confidence at The Gabba in Brisbane. 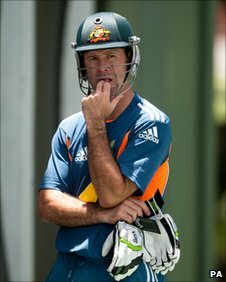 A big part of their confidence, and a worrying sign for Australia, is Andrew Strauss's form with the bat. A confident leader is always powerful. When the captain is on top of his game, he can concentrate on the big picture of leading his troops without the distraction of worrying about wayward footwork or self-doubt caused by a few failures. In the last Ashes series Strauss was outstanding and there is no doubt Australia will want to stem his flow of runs as early as possible in this series. It looks from the outside that Strauss and coach Andy Flower have formed a strong leadership bond; another crucial factor in the success of any team. England are talking about becoming the number one team in the world and using this series as a platform for their ambition. Australia have exactly the same goal and as admirable as this may be for both teams, all the talk in the world counts for nothing when the action begins. Sustained success is never easy. From Thursday morning until 7 January, it will not be the team which talks the best game that will win the series, the team that wins will be the one that can sustain the pressure and deal best with the many distractions associated with Ashes cricket. Injuries, form and momentum will also play a part in the outcome of this series and that is why it is so hard to predict the result, no matter how expert, the so-called 'experts' think they are.